You know that feeling when you find the perfect dress that flatters in all the right places and perfectly hides the "weak" spots? Or when see a cute guy smile at you as you pass him on the street? Or when you wake up early on a Saturday morning and realize you don't have to go to work? That giddy feeling when you just can't help but smile? That's how I felt when I found this amazing deal on bamboo flatware. True story. 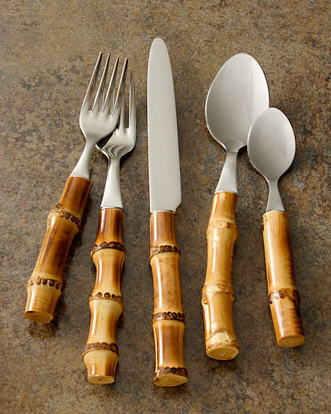 Above you see the beautiful Juliska bamboo flatware that retails for $150 a place setting at Neiman Marcus. Gorgeous. 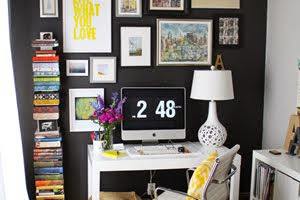 Perfect, really. But so unrealistically unattainable, it hurts my heart. Enter this 20-piece set of bamboo flatware, also from Neiman Marcus, that is currently on super duper sale for $18! I was so excited when I found this deal, I emailed my entire family - brother and future brother-in-law included. 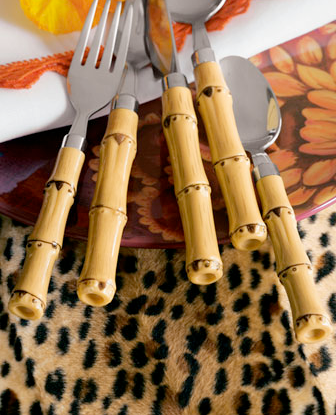 And the best news is that these bamboo beauties are dishwasher safe. Sign me up for two sets! omg omg i have to have these!!! LOVE these! They would go perfectly with the Bill Campbell pottery I received for my wedding (opposed to registering for china). My screen shows that they are $24 a set though? ...absolutely LOVE deals like this. Such a high and a huge 'day (or week:) brightener!' If I wasn't leaving for vacation today, I'd buy these too!! WOWEEE this is the most fabulous find ever! THANK YOU for posting. haha! love that you said 'hurts my heart' - that's totally something i'd say...along with 'makes my heart sing' lol. 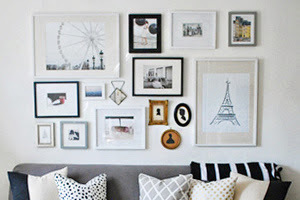 I recently did the exact same thing; I love this classic look and was searching around for a set this summer... don't you just love finding a deal?! Holy crap, are you kidding? Amazing find! I love this, love, love, love. Going shopping right now! Andrea's Wedding: The Big Day! The Loss of a New Friend.